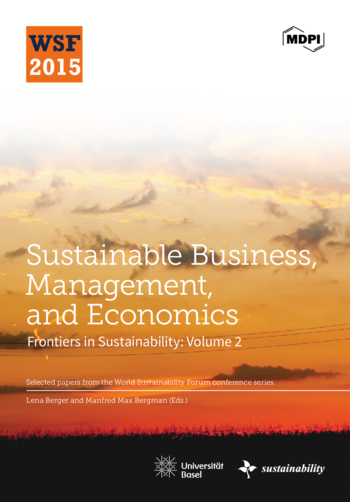 Frontiers in Sustainability (FinS) is an edited book series by MDPI. It serves as a transdisciplinary and multistakeholder platform for regional and global sustainability issues. Here, we understand transdisciplinarity as a collaboration between researchers from different disciplines to conceptualize, study, and derive solutions to sustainability-relevant problems that may be relevant to stakeholder practices and outcomes beyond academia. FinS promotes debates within and between academic disciplines, especially the natural sciences, engineering and technology, and the social sciences, and it seeks to publish academically relevant exchanges between academia, intergovernmental and non-governmental organizations, politics, and business. FinS also publishes manuscripts that do not fit the conventional journal format. 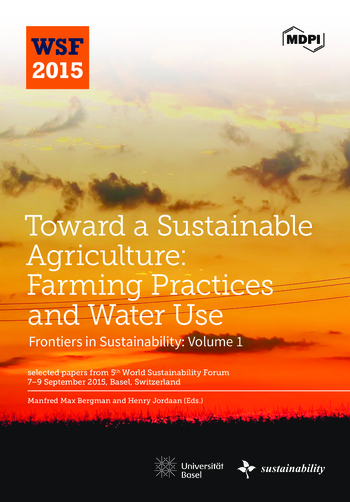 Apart from theoretical or empirical papers on sustainability, contributions may include tentative policy or position papers, important research updates, opinion pieces, focused literature reviews, descriptions of relevant research or government programs, and other original and creative contributions relating to sustainability. All manuscripts are peer-reviewed. Those accepted for publication in FinS appear as a hardcopy, as well as online as open access articles. FinS is linked to the World Sustainability Forum. However, submissions from authors who did not present their work at one of the Forum events are also considered for publication.